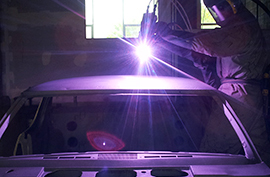 Media blasting is the best foundation for a thorough automotive restoration. Don’t cut corners or compromise, get it blasted. 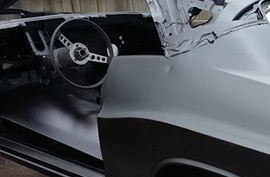 We can do in-place vehicle chassis rust removal, re-galvanizing, epoxy coating and cavity waxing for staggeringly hi-quality rust protection. Removes all rust and old paint, etches the surface to reveal clean white metal ready for coating. 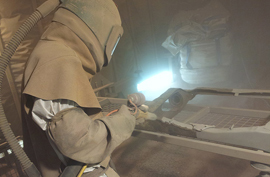 Creates a sacrificial protective coating by spraying molten metal onto prepared surface. 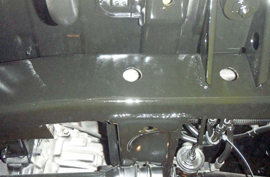 Applied to blasted surface, long-lasting protection from extremely hard-wearing, marine-grade epoxy paint.